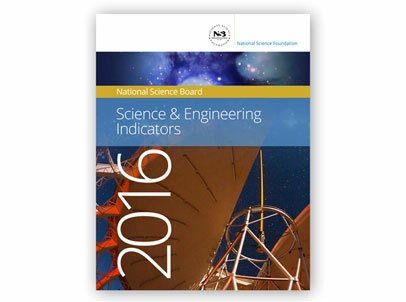 The US National Science Board’s comprehensive biennial report puts the worldwide total at $1.671 trillion in 2013. Ten years earlier, in 2003, it was $836 billion. By these figures, the annual increase in total global R&D . . . averaged 7.2 percent over the decade, doubling in size. But the US did not follow this trend in the same period. “Inflation-adjusted growth in total U.S. R&D averaged only 0.8 percent annually over the 2008–13 period, behind the 1.2 percent annual average for U.S. gross domestic product (GDP). Even so, the single-year metrics for 2010–11 and 2012–13 were markedly more favorable than this 5-year average: 2.7 percent in real growth for total R&D in 2010–11 versus 1.6 percent for GDP; 3.2 percent for R&D in 2012–13 versus 2.2 percent for GDP.